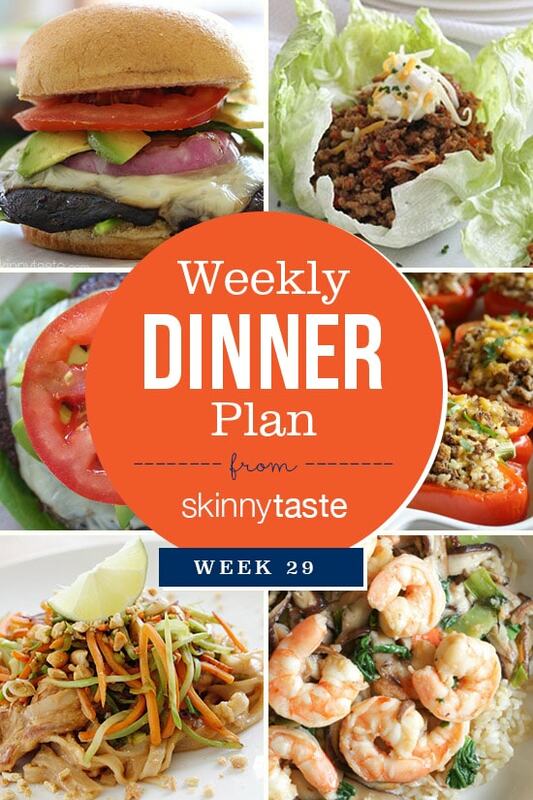 Skinnytaste Dinner Plan Week 29. With warmer weather coming, that could only mean one thing…..the countdown to summer has begun! Time to clean up that grill and prepare some lighter evening meals! I’m heading to Europe next week, but I didn’t want to leave you without a meal plan so I asked for suggestions and created this just for you! There’s more to the world than Europe. I have loved the weekly meal plans. I have followed them since the beginning. Its the reason I have been cooking more regularly and consistently. You take the stress out of planning something every week. Love it, please keep them coming. I’ve been following the meal plans for the last few weeks and am absolutely loving them. I was killing myself trying to make overcomplicated meals but this plan has shown me how to simplify my dinners. Everything is delicious, healthy and I’m freed up to spend more time with my family. Win-win! I got turned on to skinnytaste YEARS ago by a friend when I joined ww and continued to make your recipes even when I wasn’t on ww anymore. Am back on it again and also follow you on snapchat. Was so excited to hear you’re from LI as I’m here too! 🙂 Just wanted to let you know I (a) LOVE your book, use it frequently, & can’t wait for the next one and (b) LOVE LOVE LOVEEEEEEEEE your website updates! So much easier to look for things! Great job, keep it up, and thanks for all you do to bring more spice into my life! Awww, thank you! I love to hear things like that! 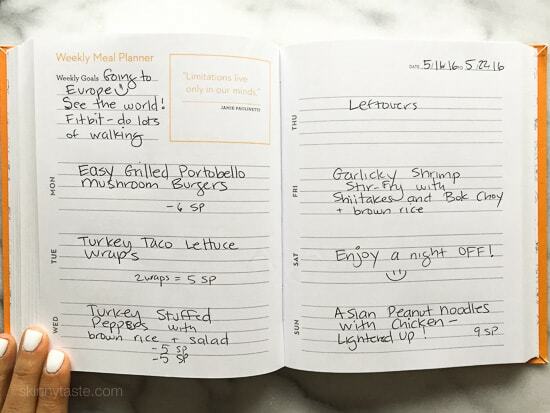 I love seeing the Weekly Dinner Plan post every week. While I don’t follow the dinner plan, it is a great reminder of all the great recipes that I have tried and haven’t tried yet! !